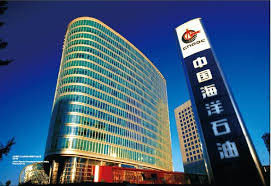 CNOOC Limited says that the Weizhou 12-2 oilfield joint development project (Weizhou 12-2) and Weizhou 11-4 North oilfield Phase II project (Weizhou 11-4 North) have recently commenced production. The Weizhou 12-2 project is located in Beibu Gulf Basin of the South China Sea with an average water depth of approximately 36 meters. This project has three oilfields in total including the Weizhou 12-2 oilfield, the Weizhou 12-1 West oilfield and the north part of Weizhou 11-2 oilfield. The main production facilities include three wellhead platforms and 18 producing wells which have all commenced production, producing a total of approximately 16,000 barrels of crude oil per day and reaching its ODP designed peak production.